Yeah, I love foreign street signs. Canada’s were considerably more sensible than those in Helsinki and Reykjavik, but I found a few that were entertaining. Saute-Moutons pretty much translates to “jumping sheep.” Strangely, this attraction deals with neither jumping nor sheep, but it is still pretty damned cool. 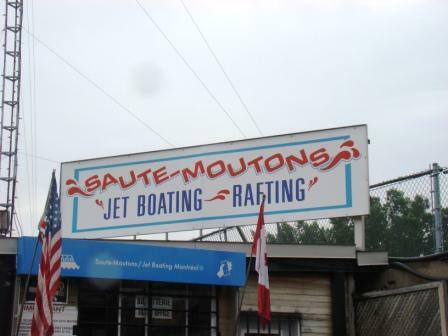 Saute-Moutons takes you on a jet boat through river rapids. Large waves form, and the boat dives into them, getting the passengers drenched. On the way back, we actually saw a few whirlpools forming in the river. 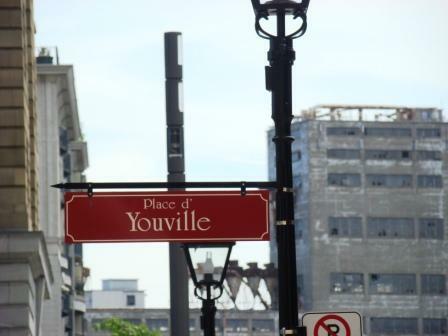 This is a must-see in Montreal. 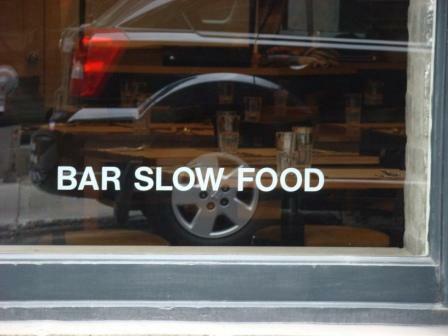 Slow food in a bar? As opposed to what? 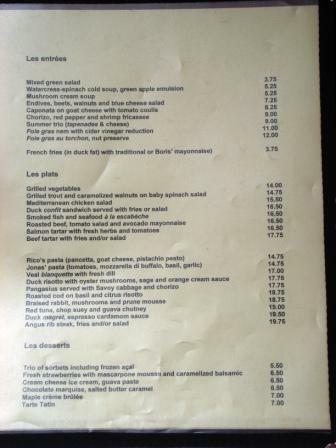 Healthy mozzarella sticks? C’mon, guys. I just don’t get it. 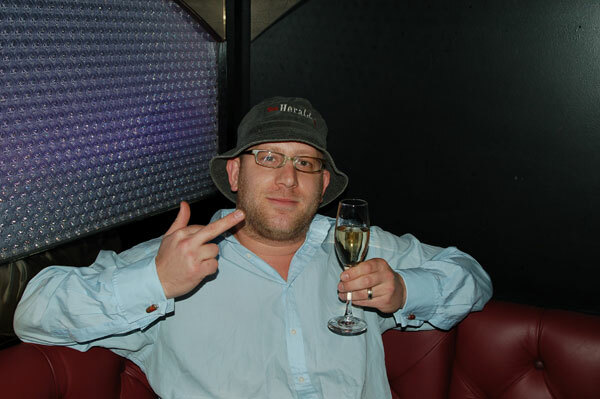 This entry was posted in Travel and tagged bar, Boat, Canada, food, Montreal, River, Travel, Youville on July 21, 2008 by Tom.